Taco night is just about the only dinner that my whole family enthusiastically agrees on. I used to buy packets of store bought taco seasoning, but with all the salt and weird ingredients they sometimes contain (and how often we eat tacos), I figured it was time to make my own healthier blend in bulk. Given how few ingredients taco seasoning requires, you may think that homemade doesn’t make a difference. You’ll be amazed at how wrong that is. 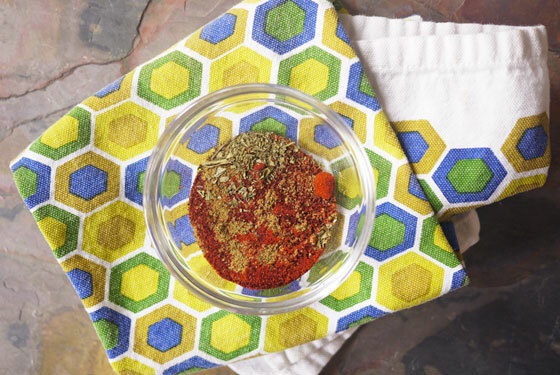 Homemade seasoning makes all the difference both in taste and health (the labels of most taco seasonings reveal fillers like corn starch and artificial coloring). And who can argue when homemade taco seasoning comes together with four ingredients in a couple minutes? You can sprinkle my wholesome taco seasoning on ground beef or rub it on chicken before you sauté, broil, or grill it. It even works well on tofu! Then set out your protein, shredded lettuce or cabbage, shredded cheese, salsa (homemade pico de gallo is best and easy, too; I also love this mango salsa), and if you’re smart, guacamole. I love serving tacos on warm, soft corn tortillas (which, by the way, are also shockingly easy to make from scratch—am I pushing it now?). 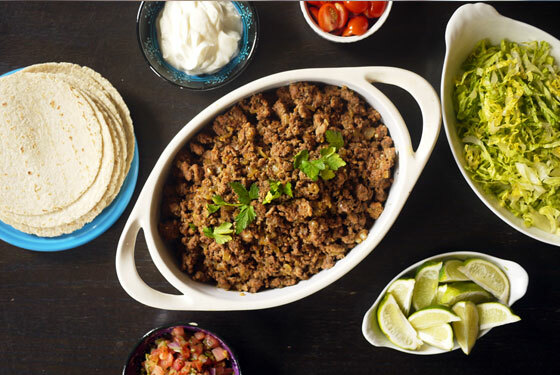 Hard taco shells are fun, but it’s hard to find them made without preservatives. If that’s a concern but you want something crunchy, pile your taco ingredients over all-natural corn chips. With all the salt and weird ingredients store-bought taco seasoning contains, I figured it was time to make my own healthier blend in bulk. Step 1: Combine all ingredients in a bowl. Mix until well combined. Step 2: Rub on chicken breast or tofu before cooking, or sprinkle over ground beef while browning.